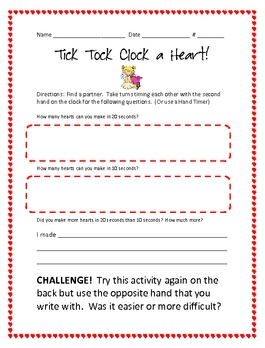 Tick Tock Heart encourages telling time to the second and minute. Challenge your class to break into partner groups and time each other making hearts. Students then compare their results in short writing prompts.